The benefits of using E-Spire Retail was that from Project Management down to the Implementation Teams in store we have delivered tried and trusted best practices in retail and presentation with experience in what good looks like. E-Spire Retail has been the main support company assisting The Co-operative Channel Islands (CI) in their Retail projects since 2013. 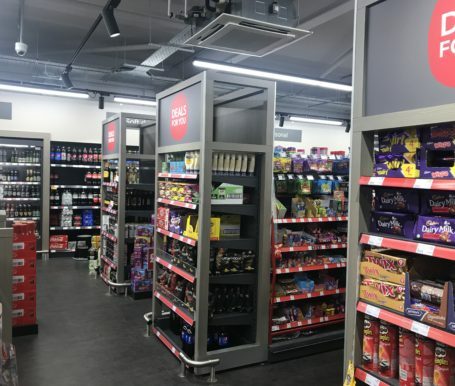 E-Spire Retail has supported The Co-op CI in New Stores and Refits on multiple sites including Store acquisition, Store merchandising and Conversions, Programme Management, Retail Upgrade Initiatives including Electronic Price Labelling which is Industry Leading. E-Spire Retail has supplied professional Retail Merchandising teams, staff experienced in all aspects of relaying food and non-foods products to product line drawings and planograms and presenting them to the required standards, We bring experience and Best Practices in retail merchandising as support to client. E-Spire Retail have also supported The Coop CI in converting their stores to Electronic Price Labelling which has been a great success. We have also supported the client on store acquisitions and merchandising store Pharmacy projects. E-Spire has continually delivered retail standards as per The Co-operative Channel Islands expectations and have given confidence and reliability to the client.